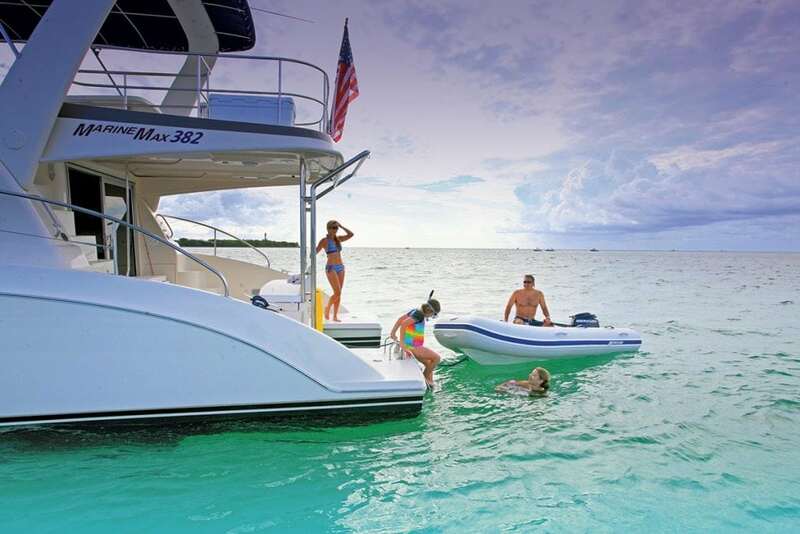 Regardless of your budget or lifestyle, there’s a boat charter ideally suited for you. 2. Single-hulled sailboats for experienced yachtsmen qualified to plot a course using only the stars and a compass and who crossed the Atlantic at least once. I qualified in neither category, but now after two charter trips to the British Virgin Islands (B.V.I. )—the first in 2000 onboard a crewed sailing catamaran with two other couples and the second in 2012 on a power cat courtesy of The Moorings—I’m convinced that just about anyone not only can, but should charter. With over 70 percent of the earth’s surface covered by oceans, our planet’s cruising grounds simply beg for exploration. Most boat owners, however, have neither the range nor the vacation time to reach them. Now, with myriad charter companies and itinerary options available—whether your vacation time and budget are limited or large, or you’ve been cruising for decades or just days—chartering is for everyone. For those who might feel more comfortable in U.S. waters for their maiden charter, Southwest Florida Yachts, based at Tarpon Point Marina on the Caloosahatchee River in Fort Myers, Florida offers a three-day Basic Powerboating course to brush up on boating skills while at the same time become familiar with your charter boat. A four- or five-day charter is enough time to get your feet wet, explore Sanibel and Captiva Islands, or even venture to Key West. Staying on the hook or mooring balls will make the trip more affordable, but if you start missing land, there are plenty of marinas to duck into, and reservations are easily made since you’re in cell phone range. If you’re a bit on the frugal side, it’s always cheaper to stay on the hook or pick up a mooring ball in the B.V.I., but if you’re not as concerned with pinching pennies on your charter or need to stretch your sea legs, many resorts extend their amenities to marina guests, so it pays to reserve at least one night at their marina for a bit—or a bevy—of pampering. Peter Island Resort & Spa’s idyllic setting on 1,800 acres offers a great deal more than pampering, however, with paved walkways for hikes, a gourmet mountaintop sunset experience, and acclaimed spa, all of which are topped off with fabulous views in nearly every direction. (peterisland.com) If there’s room in your budget for more than one indulgence, save at least one more night for Scrub Island Resort (scrubisland.com), which is conveniently situated close to Tortola’s airport on Beef Island—the resort has an airport water shuttle service. The small island provides a more intimate, relaxed setting than some of the busier islands in the B.V.I., and if you’ve budgeted for a spa visit, save it for Scrub Island, where I had the best massage of my life by Spa Director Emily Lancaster in a spa-cottage by the sea with its own private outdoor mini-pool. If romance is what you’re after, in addition to the two-tiered pool overlooking the marina—with a fun slide we just had to try—a smaller more private pool setting on the other side of the small island is perfect for intimate gatherings and provides an unrestricted island view at ocean’s edge. The only problem Levi encountered during their entire trip was unrelated to their boat or boating skills. “Because of the extreme drought in Italy (we saw perhaps 30 or more cornfields that were totally burnt out—brown—with not an ear of corn to harvest), the canal and river were both so low with water, that we never make it to our destinations by boat. The waterways were closed,” Levi recalls. Instead, they stopped in a fun town and took a 45-minute bus ride into the towns they wanted to see. Although others accomplished the trip in two weeks or less, Levi chartered for three weeks, which allowed them the time to leisurely explore and led to a number of unexpected encounters they would have missed on a shorter trip. Keep in mind that certification in boating proficiency is now required by many countries, including most European nations. Best Boat Club (bestboatclub.com) has partnered with two internationally-recognized organizations—US Sailing and US Powerboating—to provide the certifications needed to charter sail or power boats internationally. The entry-level class, Safe Sail- or Powerboat Handling, is designed for people with zero or very limited boat experience and certifies students to operate boats up to 27′. It also qualifies students for Florida’s Boat Smart certificate. Those who have more boating experience can test out of the entry-level class for a fee, which can be applied to the second of three classes required for international certification. Basic Powerboat Cruising teaches skills for navigating boats 28-32′ for longer periods and includes hands-on coursework on board for learning engine and electrical systems. Finally, Inshore Powerboat Cruising and Night Operation prepares students for multi-day and overnight trips within sight of land and includes an International Proficiency Certificate. While many boating “schools” offer boating classes, Director of Training Derek Edwards says the skills you learn from Best Boat Club offer much more. “Our program is certified by U.S. Powerboat and U.S. Sailing, who are very stringent in their requirements for instructors that goes way beyond what a United States Coast Guard license requires,” says Edwards, who adds there is a common misperception that a U.S. Coast Guard license fulfills requirements for chartering regardless of the location. According to Edwards, in the U.S., only the U.S. Powerboat and Sailing programs qualify for international charters. For those without the time for or interest in classes, however, luxury crewed charters are always an option and—depending on the size and location of the yacht and number of charter guests sharing expenses—can actually be a surprisingly cost-competitive alternative to higher-end cruise ship vacations. The difference is, of course, that your cruising experience is completely customized. Tahiti and other islands in the South Pacific are becoming more popular for yacht charters since many yacht owners want the opportunity to use their yachts in those waters and are interested in offsetting their expenses. Some even offer charters to Antarctica. Whether you bareboat, hire a captain and small crew, or charter a luxury yacht, enthusiasts like Alan and “Sam”—along with Southern Boating’s editor, publisher and many others—treasure the memories that charters avail: delightful dining at off-the-beaten-path cafés and diners, chance encounters with new friends both above and below the waterline, and cruising the same waters that famous explorers once did. The perfect charter vacation is waiting for you regardless of your lifestyle, experience or budget. Don’t wait—buy a cruising guide, book a charter, connect with your inner Magellan, and create new memories.